Shaped by growing up in Oakland, CA during the 80s—the city’s crack years, she says—Vien Truong has dedicated her career to fundamentally ending poverty. Truong is the President of the Dream Corps, and she believes in the power of an inclusive and equitable green economy. 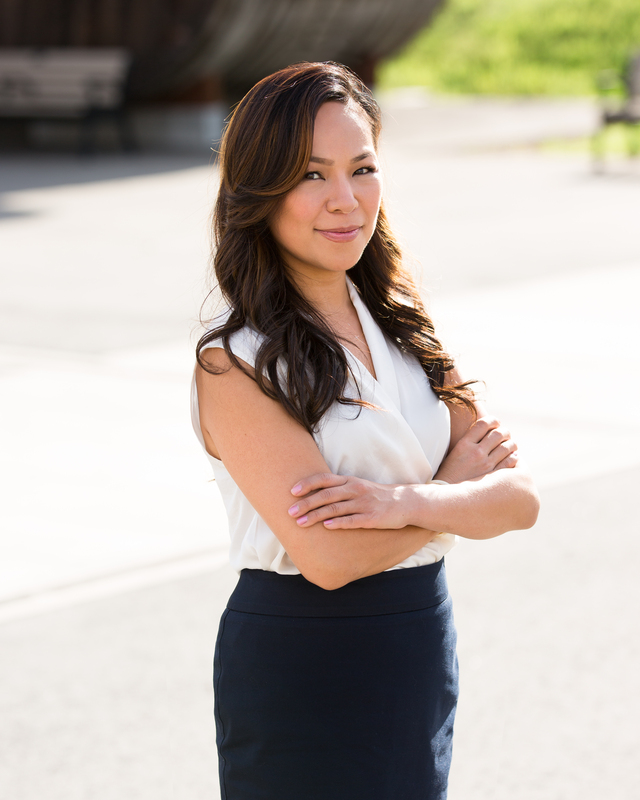 Truong has developed numerous energy, environmental, and economic policies and programs at the state, federal and local levels, and has advised on billions of dollars in public investments for energy and community development programs. In 2016, Truong received the White House Champion of Change award for her work on climate equity. That same year, she was also recognized as a “Power Shifter” on the Grist 50. Bard MBA faculty member Jorge Fontanez spoke with Truong about what led her to this work, and how the Dream Corps is helping to solve tough problems by uniting innovators across racial, social and even partisan lines. The following Q&A is an edited excerpt from the Bard MBA’s February 1st The Impact Report podcast. The Impact Report brings together students and faculty in Bard’s MBA in Sustainability program with leaders in business, sustainability and social entrepreneurship. FONTANEZ: I WOULD LOVE FOR YOU TO SHARE YOUR ORIGIN STORY. HOW DID YOUR UPBRINGING LEAD TO YOUR CAREER COMBATTING ENVIRONMENTAL AND SOCIAL INJUSTICE? torn Vietnam. I was born in a refugee camp that was exactly what you would imagine an internment camp to look like: steel cages surrounding the perimeter of shacks that people were crammed into. We eventually made it to Portland, OR where my parents, who never learned to read or write in English, found the only jobs they could: picking strawberries and snow peas on farms, sometimes with me strapped to their backs. We then moved to Oakland, CA, and my parents were able to find work in sweatshops, where they worked from the time I was three until I went to college. So, I grew up in Oakland during the 80s—the crack years. Before the Dream Corps, I worked for Green For All, which was also founded by Van Jones. Seven years later, Van asked if I would step in as the CEO of the Dream Corps to strengthen the organization and grow our team to have more impact across the board. Our mission at the Dream Corps is to close prison doors and to open doors of opportunity. When you grow up in Oakland, you have a lot of friends and family who are affected by the criminal justice system. Our Cut 50 program is working to reduce the prison population by half in ten years. We’re doing it through humanization and legislation—humanizing people who have been affected by the system, but also legislating change to create more dignity and freedom for people. Our Yes We Code program is working to get 100,000 young people of diverse backgrounds into successful tech sector careers. It’s one of our oldest and most recognized programs and is credited as one of the first ever green jobs acts. We collaborated with Speaker Pelosi on the program, and we’ve raised five hundred million dollars toward green job training. More recently, we’re working globally with cities and countries around how we actually create solutions for poverty. A few states—Oregon, Washington State, New York, Massachusetts—are working to do the Polluters Pay program now. Not only should they pay—they should be cleaning up and investing those funds into the communities most impacted by poverty and pollution. We have this strategy that we’ll work with anybody who agrees with us that this is not the time to despair and wring our hands. So, we work with celebrities and tech giants and grassroots organizations and elected officials, and we also work with Wall Street. We work with Wall Street to invest private capital in communities that have been neglected and red-lined out. It’s time for us to get up, to generate opportunities for people to make a change. We can’t wait for our elected officials to do the work—we have to do it ourselves.